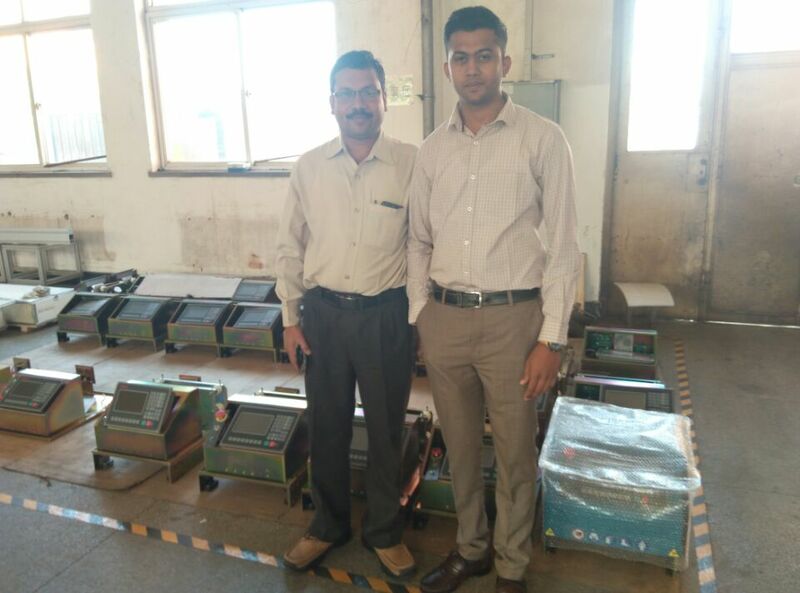 On May 4th, two India customers visited Honeybee factory and checked Honeybee Gantry CNC Cutting Machines. After simple instruction, two customers can operate the Gantry CNC Cutting Machines themselve easily. They admired Honeybee CNC machines’ easy operation and friendly interface. 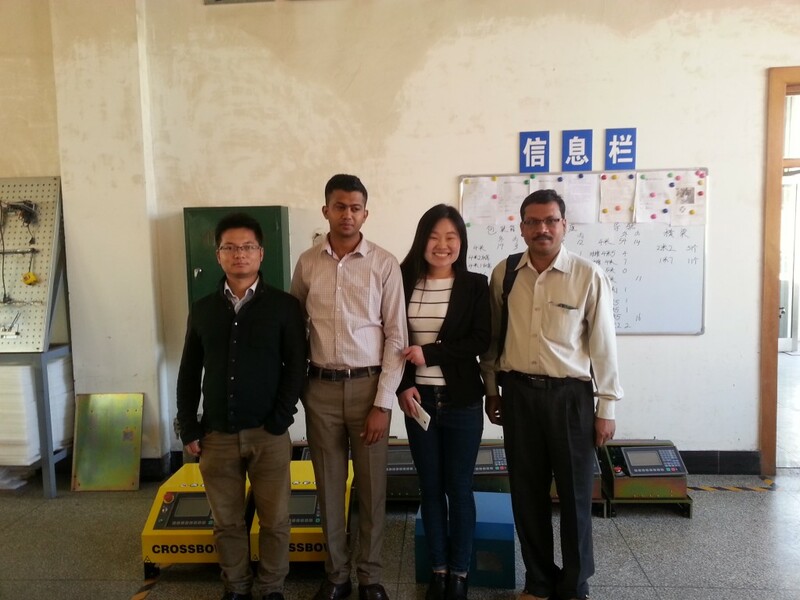 Later they visited Honeybee Portable CNC Cutting Machine factory, where is the ESAB Crossbow producing site. Honeybee CNC become ESAB’S OEM from 2012 after close negotiation and strict factory inspection. Up to now, about 600 sets of Crossbow Portable CNC Cutting Machines made by Honeybee CNC and distributed by ESAB all over the world. In Honeybee Portable CNC Cutting Machine factory, The two customers interested in Honeybee Heavy Duty Portable CNC Cutting Machine very much. It can cut size 2500mm width by 3400mm length(length can be extended), double cutting modes, equip big plasma up to 200A. This cutting size is much more bigger than normal portable CNC cutting machines, moreover, it can equip bigger plasma up to 200A. India market is eager for Portable CNC Cutting Machines. ESAB Crossbow has made good marketing and Crossbow is very popular since 2012. With same quality and size, Honeybee Portable CNC Cutting Machines are also very popular here. Meanwhile customer is very interested in our laser cutting machine,we are discussing the laser cuttting machine bussiness,and hope laser cutting machine machine will bring customer more value.